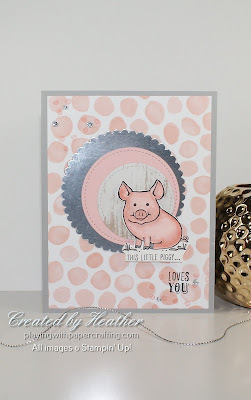 Two things I love today: The sketch over at Freshly Made Sketches and This Little Piggy stamp set! Way to go FMS, for coming up with fresh, new ideas all the time! I think this one was designed by Cecile! I took it pretty literally, because I liked it so much! I didn't want to mess around with something that works so well. 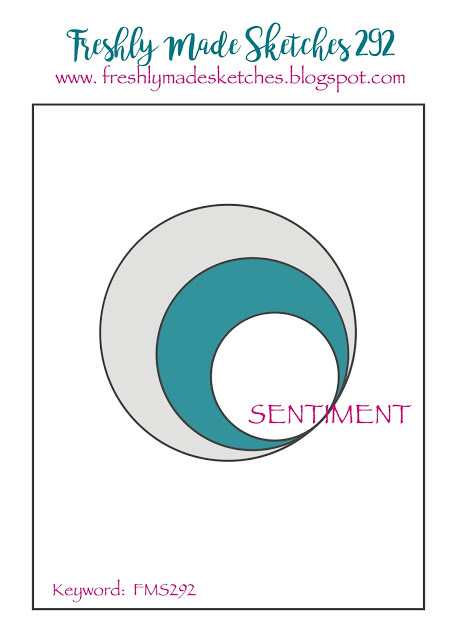 Besides, I'm working on some Quick and Cute designs for a class this week and this seemed like the perfect fit. Secondly, the This Little Piggy stamp set has been a favourite of mine since I first laid eyes on it in early April, and I've been dying to ink it up since then. Would you believe this has been my first opportunity?